The legal professionals at The Jon Corn Law Firm are experienced trial attorneys with an impressive courtroom track record and a reputation for effectively working with the Coastal Commission and local governments. Jon Corn is an astute attorney and businessman. Combining these talents, he determines a best course of action taking legal, legislative, political and monetary issues into account. Jon is a very likeable, professional who you want on your team. I recommend him highly to anyone who needs a trial lawyer, or property advice, especially if yours is along the coast. No one knows and understands the legal issues of oceanfront ownership better than Jon Corn. And, if you’re a developer, you’ll be glad to know that Jon has tremendous expertise in the Density Bonus Law, and he knows how to work with the cities and the Coastal Commission to get your project approved. 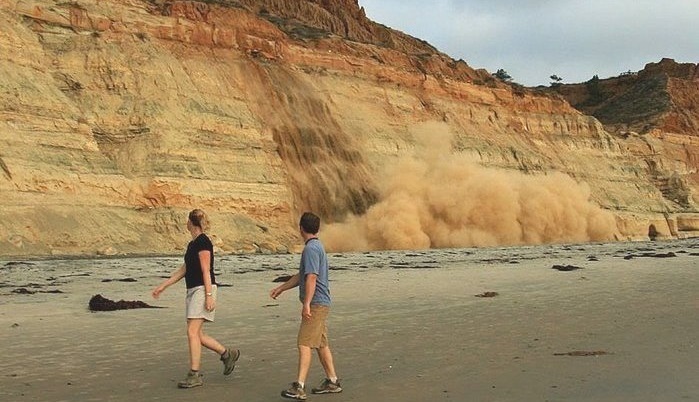 As a coastal engineer who has been working along the San Diego coastline for more than 40 years, I can highly recommend Jon Corn without hesitation. Few lawyers I’ve met have his grasp of the relevant engineering issues, and he most of all he knows how to work with people and get the job done. Jon represented our family with zeal and intensity in our decades long battle with the California Coastal Commission. He beat the Coastal Commission in court and convinced the judge to award us all attorneys’ fees and costs. After the Coastal Commission appealed, Jon got PLF to join him in the fight, and it continues now at the California Supreme Court. Can I protect my oceanfront home with a seawall? Yes. The Coastal Act guarantees that you may protect existing structures that are endanger from erosion. However, the Coastal Commission is working diligently to erode this right and impose unlawful special conditions on each seawall permit. When do I need a permit from the Coastal Commission? Any non-exempt development in the California Coastal Zone requires a coastal development permit (CDP) from the Coastal Commission. If your City has a certified Local Coastal Program (LCP), then your City may issue your CDP, subject to Commission appeal in some circumstances. Can I sue the Coastal Commission? Yes. But you must do so within 60 days of the Coastal Commission’s unlawful decision, and the lawsuit must take the form of a Petition for Writ of Mandate. If you fail to file within this very short timeframe, you will likely be unable to pursue your claim. Can the Coastal Commission appeal a permit I received from the City where my property is located? Yes, but only if your property is located in an appeal zone. Typically, this applies to properties between the sea and the first road paralleling the sea. Can the Coastal Commission come after me for development without a permit that was undertaken by a previous owner of my property? Coastal Development Permits are required for all "development" in the California Coastal Zone. The Coastal Zone typically extends from the sea to several miles inland. The term "development" is very broad; it covers construction and changes in the intensification of use. Can the Coastal Commission issue monetary fines? Yes, and the fines can be quite high. However, the Coastal Commission may only issue fines directly for public access violations. All other violations must be levied by a court of law. Yes, and the fines can be quite high. Where is the mean high tide line and what is its significance? The mean high tide line, or MHTL, is the location where the average of all high tides, measured over an 18.6-year period, intersects the beach. The MHTL location can change on a daily basis, and could be influenced by many factors including whether government action altered the location. The location of the MHTL is very important as private property ownership typically ends at the MHTL. An easement is a right to use someone else’s property. Easements can be exclusive or non-exclusive. An exclusive easement gives the easement holder the right to use the property exclusively, meaning the holder can exclude all others from easement area. A non-exclusive easement gives the easement holder the right to use the property alongside the owner of the underlying land. Easements can arise by agreement or by operation of law. CEQA is the California Environmental Quality Act. It applies to all development projects in California. CEQA requires the “lead agency” (i.e., the City processing the primary permit applications) to conduct an assessment of the potential environmental impacts of any given development, and to deny approval of projects that fail to design around or mitigate for a project’s significant adverse effects. What is the Density Bonus Law? The Density Bonus Law is a state law that gives developers a “density bonus” of up to 35%, plus incentives and concessions, in exchange for building affordable housing within the development. The DBL is powerful because it prohibits government from imposing any development standards that prevent the developer from achieving the density allowed by the DBL. What do I need to know before I purchase an oceanfront home? Among many other material facts, it is critical to understand whether any portions of the home or other improvements on the site (e.g., beach stairs) were legally constructed. If they were not legally constructed, they are subject to removal. Does my real estate agent owe me a fiduciary duty? Yes. Whether you are a buyer or a seller, your real estate agent owes you a fiduciary duty. A fiduciary duty imposes on an agent a duty to act with the utmost good faith in the best interests of his or her client. A breach of fiduciary duty is a serious charge.